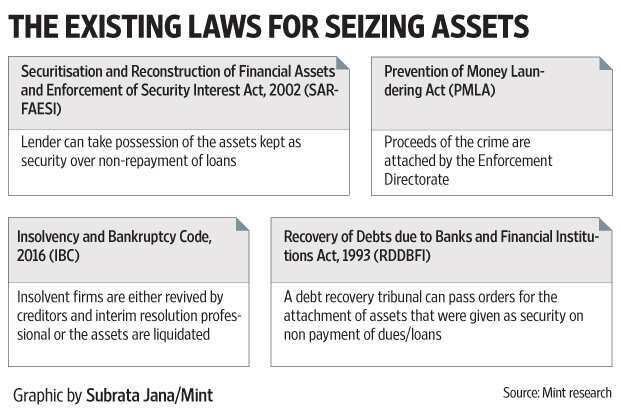 Mumbai: The Fugitive Economic Offenders Bill has been termed as a strong deterrent to people fleeing the country after committing a crime but experts say that flaws in the proposed legislation could be used to challenge the law in courts. The Union cabinet on Thursday approved the draft law after Nirav Modi and Mehul Choksi, accused in the Rs12,636 crore Punjab National Bank (PNB) fraud, failed to appear before enforcement agencies. A special Prevention of Money Laundering Court (PMLA) on Saturday issued non-bailable warrants against the two for not responding to summons by the Enforcement Directorate (ED). To be sure, the law will not be effective retrospectively; so, the likes of Modi and Choksi may not be affected. However, a director of a designated agency such as ED or Central Bureau of Investigation can move a plea to declare someone as an economic offender if the crime is already committed. This would bring them under the purview of the new law. “For offences which have been committed even before the coming into effect of the bill as an Act, it could be construed that an application could lie to declare the said offender as a fugitive economic offender," said Sandeep Grover, partner at law firm Indus Law. The bill provides for proclaiming an economic offender who has fled the country as a fugitive and confiscating his or her assets before conviction in cases where the offence is for amounts above Rs100 crore. This is to ensure that fugitives are not able to sell their assets while the legal proceedings are under way. An administrator will be appointed to manage and dispose of the confiscated property. “The blanket disentitlement from pursuing or defending any civil claim under the law should be clarified and made reasonable. An absolute ban is contrary to the basic tenets of justice and fair play, besides being in violation of the Indian Constitution," said Grover. Another area where the bill may see a challenge is on selling the property without trial. “Sale of property of a fugitive economic offender without adjudicating after a proper trial whether or not the said person is actually liable for the offence, would amount to violation of the settled principle under the Constitution that one is considered innocent unless proven guilty," said Grover of Indus Law. J.N. Gupta, managing director and co-founder of proxy advisory firm Stakeholders Empowerment Services (SES), in a report on Friday said disposal of seized property and the ban on contesting the sale of property should be limited to cases where mala fide intent has been established. “But an appeal against confiscation of property should be allowed only in Supreme Court for speedier resolution," said Gupta. Currently, the bill allows an appeal in high courts. Further, assets confiscated by enforcement agencies and courts are termed as distressed properties, and seldom find buyers. A case in point is Sahara’s Amby Valley, which despite efforts by Bombay high court’s official liquidator has been unable to find suitable buyers for almost a year. Another such case is of Kingfisher House in Mumbai. The corporate office of the defunct Kingfisher Airlines is yet to find a taker despite six attempts at an auction. “To avoid this (failed attempts at sale) the bill should provide for time limits for disposal and encashment of property, separate limits for movable-immovable property and running business, and any property which would be subject to valuation loss over a period of time must be disposed of quickly," said Gupta of SES. The bill is expected to plug gaps and provide a higher deterrent effect on economic offenders. Even key managerial persons can be declared fugitives, if a court has issued warrant against them. To further strengthen it, the bill should separately provide for dealing with siphoning off of funds, round-tripping, and employing any scheme or edifice to cause loss, said Gupta.